Let's make happy ukulele music together! 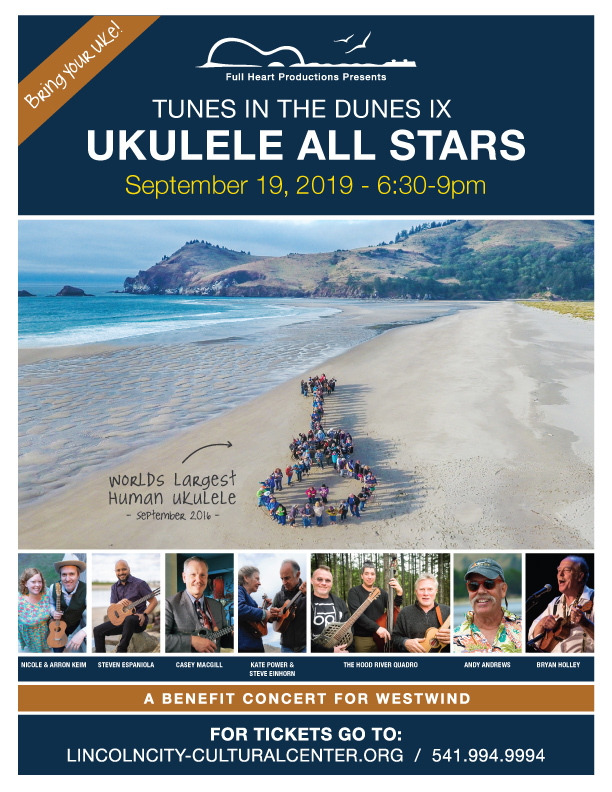 Tunes in the Dunes on the wild Oregon Coast! Come join Aaron and Nicole Keim, Steven Espaniola, Kate Power and Steve Einhorn, Casey MacGill, Andy Andrews, The Hood River Quadrio and Bryan Holley to make Happy Music together in the Key of Sea! Stay tuned for more info about joining this special ukulele community from the world famous to the just getting started. Registration for Tunes IX is now open!